Photo: Krupasindhu Muduli. Licenced under this creative commons license. 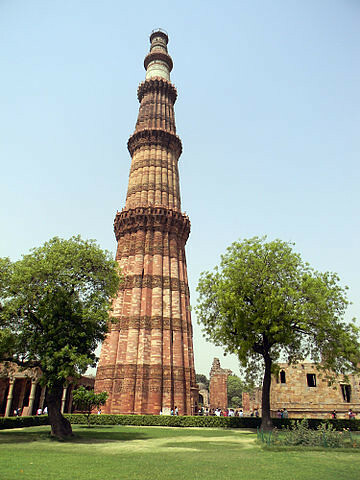 The Qutub Minar, Delhi, North-Central India is one of the oldest and tallest (72.5 meters) minaret standing in India. Constructed in the 12th Century and renovated many times later, this monument (and other monuments surrounding it) is a UNESCO World Heritage Site. Did you know that people were allowed to climb on the top of this monument until 1981? A power-cut created a stampede in the narrow stairs due to total darkness which killed 45 people and it was subsequently closed. You can follow these Incredible India posts on Facebook & Google+, as well.